We gave you ION Television's Fall 2011 schedule a couple weeks back, but now ION has gotten the broadcast rights to the sitcom George Lopez! We hinted a sitcom addition to schedule on Friday and now you know what it is! 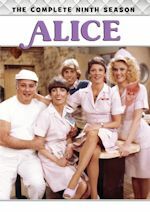 The sitcom has been in local broadcast syndication since Fall 2007, but that expires this fall. Why? Because now ION Television has secured the exclusive broadcast rights to the series. Of course, Nick at Nite still has the cable rights (also since Fall 2007, you 'member, 'member?) and will continue to air the series, as we mentioned on their fall schedule. ION Television will add the series starting Thursday, Sept. 29, 2011. George Lopez will air Thursdays from 1pm-4pm, Fridays from 1pm-6pm and on a big Sunday night block from 8pm-3am! All airings will be all-new and no encore airings, so you will have to catch them all. 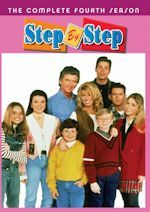 The sitcom has been a major force in the ratings on cable on Nick at Nite and had a decent showing as well in local syndication. ION Television hopes to duplicate that success by bringing the reruns back to network television, the first time since ABC ended the series in spring 2007. ION Television has also edited many of the other timeslots from the original schedule we announced for their other series. Ghost Whisperer will now only air Mon-Wed from 1pm-4pm. Monk airs Mon-Thurs from 4pm-7pm, Monday nights from 7pm-9pm, Wednesday nights from 1am-3am, and Friday nights from 10pm-1am. Without a Trace will now air Tues-Thurs at 7pm, Tues-Wed at 8pm, Wednesdays at 9pm and Mon-Thurs nights at 12 midnight. Criminal Minds will air Thursdays at 8pm, Mon-Tues & Thurs at 9pm, and Mon-Thurs from 10pm-12am. And finally Psych will air Fridays from 6pm-10pm, Saturdays from 10pm-3am, and Mon-Tues & Thurs-Fri from 1am-3am. It's a bit confusing to remember for sure, so hope you kept up. If not, click on the link below! My Name is Earl airs as a filler on weekends usually in the 1pm hour leading into movies, as movies usually air on Saturdays from 1pm-10am and Sundays from 1pm-6pm. View the UPDATED ION Television Fall 2011 schedule with the addition of George Lopez! Sheowwwwww! Let's hope the addition of this sitcom will mean more comedies joining the ION Television schedule. Stay tuned! Centric will continue to showcase its series in weekend marathons this September. Next weekend (Sept. 17-18), Centric will air a Miami Vice marathon on Saturday from 12pm-2am and on Sunday from 9am-2am. That's a whole lotta Vice. The series normally airs weekdays at 7am and 8am and early Monday mornings at 4am & 5am. The following weekend (Sept. 24-25) will have a Sister, Sister marathon. The fun starts on Saturday from 12pm-2am and continues on Sunday from 9am-2am, like the Miami Vice weekend. Sister, Sister normally airs weekdays from 12-1pm with an encore from 4-5am, as it quietly joined the line-up again. 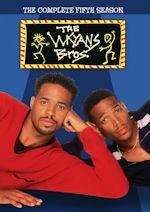 Other series airing regularly with Sister, Sister are Homicide, Miami Vice, The A-Team, The Steve Harvey Show, The Cosby Show, Girlfriends, In Living Color, The Jamie Foxx Show, and The Unit. We will announce the Centric fall schedule soon, as well as sister network BET's fall schedule. 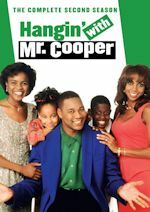 We hinted another sitcom is coming to BET this October, in addition to the return of The Parkers, which started last week. We hope to bring you BET's schedule this week, hopefully by tomorrow.